Actress Alia Bhatt who was at the receiving end of yet another controversial remark from her colleague Kangana Ranaut, has chose to maintain her calm regarding the issue. 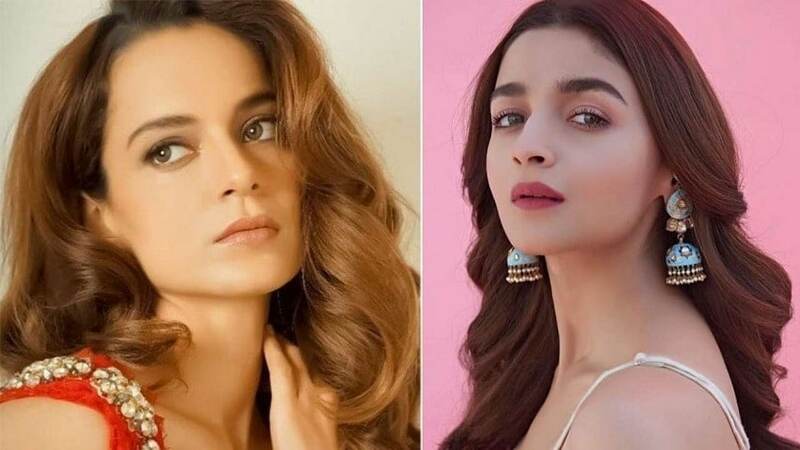 After winning an online poll by Bollywood Life for the Best Actress of 2019, Kangana took a jibe at Alia's performance in Gully boy, calling it mediocre. Ranaut won with 37 percent votes for her performance in Manikarnika: The Queen of Jhansi, surpassing Tapsee Pannu (for Badla), Kriti Sanon (for Luka Chuppi) and Alia Bhatt. Bhatt bagged the second spot with 33 percent votes. When asked to comment on the poll's results Ranaut had said that she was embarrassed with the comparisons, "Stop pampering mediocre work or else bar will never be raised." Bhatt, who is busy with the ongoing promotions of her upcoming film Kalank, will next be seen in Ayan Mukerji 's fantasy drama Brahmastra.